Your money ain't safe, even in space. You know what would make PAYDAY 2 a lot more fun? If you could toss your humble uzi aside and tear through the boys in blue with a plasma cannon. Imagine the mountains of law enforcement officials your clowns could dispatch with crazy future tech at your disposal. And what if we replaced all of the cops with six-armed aliens wielding just as many guns, and instead of a mundane thing like diamonds, our masked anti-heroes are liberating vaults full of alien artifacts! Oh, and instead of a getaway van, you hop into your FTL space ship and blast off to the other side of the galaxy! If only someone would make a game like that.. Apparently some game devs has been leafing through my diary. 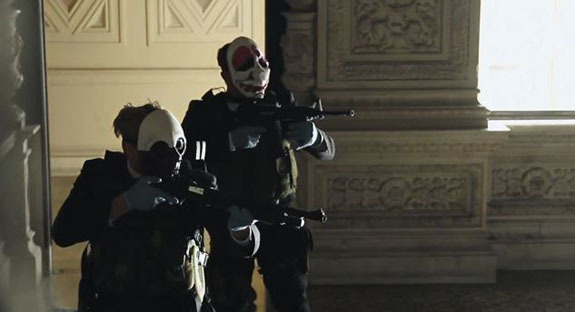 In their latest report, Starbreeze Studios, the makers of PAYDAY and its sequel, hinted at a new project going under the codename Storm. 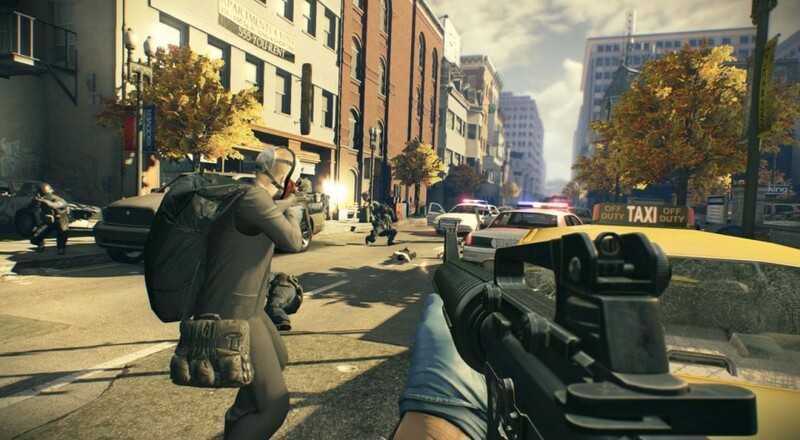 The studio labels this new game as "PAYDAY in space," and will be a co-op shooter. No concrete details have surfaced yet, though the studio is applying the lessons it learned from PAYDAY in making this experience as well. So you might not be icing any intergalactic police forces or anything, but an objective based sci-fi up'd shooter might be a lot of fun, especially if they give us plenty of cool future toys to play with. Give those clowns a couple of anti-grav boots and some disintegration rays and see how long it takes for DC's finest to throw in the towel.